The classic Oval Shape is die cut from premium tanned leather. 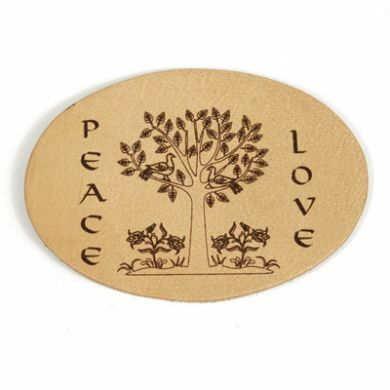 The light tan color of the leather engraves a rich brown color with a laser. Photos, text and logos take on a unique and beautiful look when engraved on these shield shapes. 3-3/8" x 2-3/8" x 1/8"